Fat LossScitec HCA Chitosan - 100 kaps. 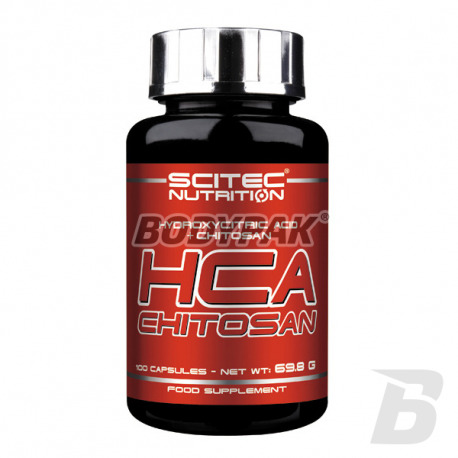 Scitec HCA Chitosan - 100 kaps. HCA Chitosan - is a mixture of hydroxy citric acid (extract of the Garcinia Cambogia plant) and natural substances "ballast" composed of chitin fibers, giving braking effect and absorption of fat. Scitec HCA Chitosan is a mixture of hydroxy citric acid (extract of the Garcinia Cambogia plant) and natural substances "ballast" composed of chitin fibers, giving a dual braking effect and absorption of fat. HCA (hydroxycitric acid) is derived from Garcynii Cambodian. 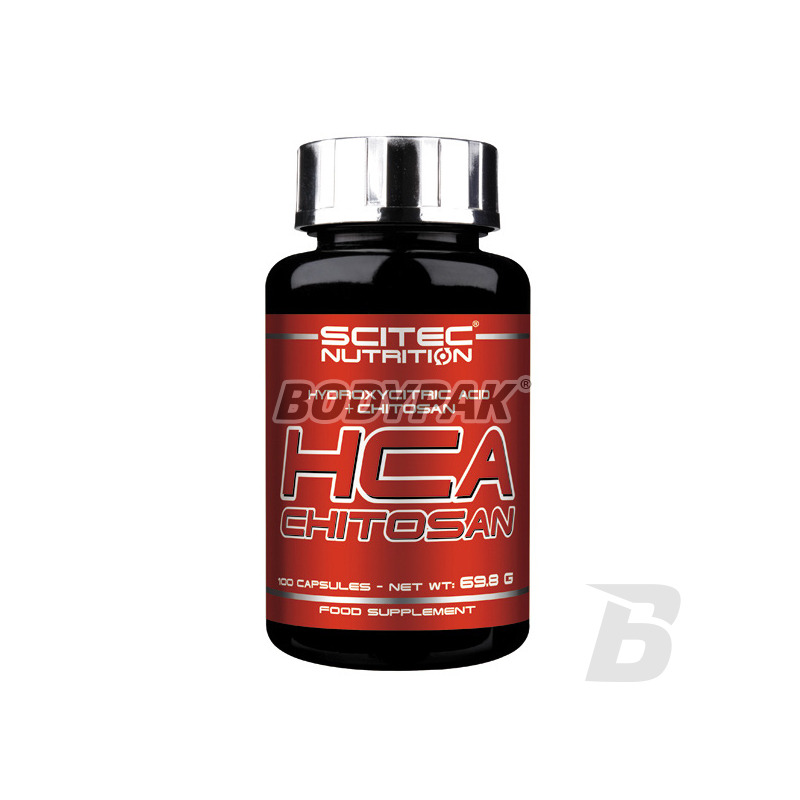 The content of the Scitec Nutrition® HCA HCA is 60%. Many inferior brands may contain significantly less active ingredient! HCA may facilitate the control of body weight, body fat levels and hunger. Chitosan is derived from chitin, a polysaccharide of glucose present in the shells of crustaceans. Chitosan is then subjected to deacetylation, which removes the acetyl groups. This increases its solubility. Scitec HCA Chitosan is a natural substance "ballast" composed of chitin fibers isolated from crustacean armor. Chitosan is a natural fat binding properties of repeatedly absorbing the fat in a ratio of 4-10g to 1 g of chitosan fat. Before a meal consumed dietary fat binding by blocking the absorption of it into the tissue. The molecules of chitosan is not digested are excreted by the body. HCA combination with chitosan gives double the braking effect of the absorption of fat and can achieve lean muscles. Use 2-4 capsules (depending on body weight) for 30 minutes before lunch or dinner. To avoid adverse drug interactions, use other supplements (vitamins, minerals), or medication in the morning or at another time when you do not take Chitosan. Polecam produkt. Hamuje łaknienie i wspomaga moja dietę w odchudzaniu. Polecam. Świetna sprawa - w końcu przestałam podjadać i nie mam tak wielkiej ochoty na słodycze! Tego mi było trzeba!